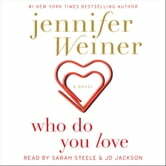 From the “hilarious, heartbreaking, and insightful” (The Miami Herald) bestselling author Jennifer Weiner comes a sweeping, modern day fairy tale about first romance and lasting love. Rachel Blum and Andy Landis are eight years old when they meet late one night in an ER waiting room. Born with a congenital heart defect, Rachel is a veteran of hospitals, and she’s intrigued by the boy who shows up all alone with a broken arm. He tells her his name. She tells him a story. After Andy’s taken back to the emergency room and Rachel’s sent back to her bed, they think they’ll never see each other again. Over the course of three decades, through high school and college, marriages and divorces, from the pinnacles of victory and the heartbreak of defeat, Andy and Rachel will find each other again and again, until they are finally given a chance to decide whether love can surmount difference and distance and if they’ve been running toward each other all along. 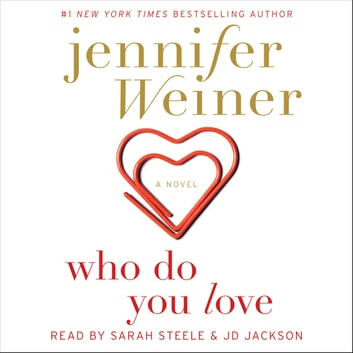 With honesty, wit, and clear-eyed observations about men and women, love and fate, and the truth about happy endings, Jennifer Weiner delivers two of her most memorable characters, and a love story you’ll never forget.